Home - Geo Webworks Inc. Since 2000, Geo Webworks has been offering web-based access to Western Canadian Oil and Gas data from a variety of vendors. 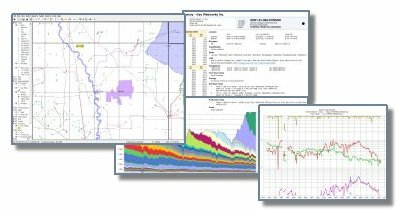 Geo Webworks provides reports, tables and exports of Wellbore, Production, Land, Pipeline and Alberta Well Spacing data. Geo Webworks also has a specialized A&D asset analysis module. Geo Webworks is convenient, cost effective and easy to use. With a powerful mapping platform and the ability to work with a variety of economic reserve systems, land packages and geological workstation platforms, Geo Webworks can both save companies money and provide high quality access to important industry information. Call us at 403-263-0333 or sales@geowebworks.com to find out how we can help you.